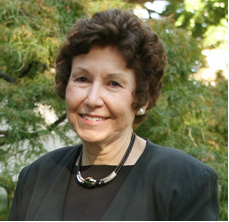 Professor Emerita, Barbara Ruch, is the Founder and first Director of EALAC’s Donald Keene Center of Japanese Culture and the Shincho Professorship of Japanese Literature for Donald Keene and successors which she conceptualized and for which she raised the endowment during 1984-1986 with support in Japan of Shiba Ryōtarō, Abe Kōbō, Nagai Michio, Takemitsu Tōru and the then president Satō Ryōichi and general manager Nitta Hiroshi of Shinchosha Publishing Co. Professor Ruch received her M.A. in classical Chinese and Japanese Studies at the University of Pennsylvania under Derk Bodde and Dale Saunders and her Ph.D. at Columbia in Medieval Japanese Literature and Cultural History under Tsunoda Ryūsaku, Donald Keene and Ivan Morris. Her training at Kyoto University had been with the linguist Sakakura Atsuyoshi, the historian Hayashiya Tatsusaburō, and the medieval fiction specialist Okami Masao. She then taught Classical and Modern Japanese language and Japanese literature at Harvard, then at Penn, and also, commuting to New York, she shared the teaching of Pre-Modern and Modern Japanese Literature with Professor Keene as Visiting Professor at Columbia for several years. 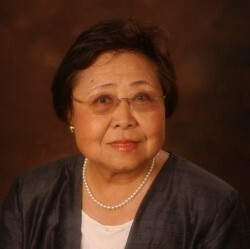 She moved permanently to Columbia as Professor in 1984, at which time she brought to Columbia under the EALAC umbrella the Institute for Medieval Japanese Studies which she had founded at Penn in 1968. At Columbia, in addition to her seminar on medieval vocal narratives, she instituted EALAC’s first courses specializing in Major Women Writers in Pre-Modern and Modern Japan as well as the History of Female Clerics in Japanese Buddhism. Professor Ruch retired from teaching and became Emerita in 1999, but has remained full-time director of the institute to the present day. The mission of the Institute has been, and remains, the identification, resurrection and research of sorely neglected constituents, often unrecognized as academic fields, that are fundamental to the understanding of Japanese culture. The first decades of research were devoted to the first full-scale collaborative study of the huge body of neglected medieval Japanese illuminated fictional texts (Nara ehon, otogizōshi) and to opening the field of performance texts known as etoki. In 1978-79 Professor Ruch directed the first international and interdisciplinary research team of scholars of literature, art, and religion in on-site collections of such texts in London, Dublin, New York, Tokyo and Kyoto, that had till then been unknown to scholars in Japan. The works were published in full in the 1980s. She was awarded the newly established Minakata Kumagusu Prize in 1991. During the decade of the 1990s she then led research projects that resulted in the resurrection of the history of eminent Japanese women clerics and publications on the thirteen extant Imperial Buddhist Convents in Nara and Kyoto which culminated in permanent on-going projects of research and restoration (architecture; textiles; komonjo, etc. ), and the establishment of a sister collaborating office in Kyoto. Following exhibitions and symposia at Columbia and in Tokyo she edited the first English-language book on the subject (Engendering Faith: Women and Buddhism in Premodern Japan). In 1992 she was the first non-Japanese to receive the Aoyama Nao Prize for Women’s History. In 1999 she received the Order of the Precious Crown, with Butterfly crest, an imperial decoration founded by the Meiji Empress, Shōken Kōtaigō for eminent royal and other women. In 2000 she was awarded the Yamagata Bantō Prize, given yearly to one Japan specialist worldwide for leadership and creativity in the study of Japan. In 2008 she was the first foreign woman to receive the Bukkyō Dendō Kyōkai (BDK) Cultural Award in furthering the history of Buddhism, and in 2009 the previous decades of research and collaboration with the Imperial Convents culminated in the Tokyo exhibition focused on all thirteen convents and with the appearance of the bilingual Amamonzeki: Hidden Heritage – Treasures of Imperial Buddhist Convents. In 2011 she received the Kyoto Cultural Award from the Governor of Kyoto. Prof. Ruch signed an agreement with Columbia’s Graduate School of Architecture, Planning, and Preservation (GSAPP) and the Nara National Research Institute for Cultural Properties (Nabunken), with IMJS as liaison in 2011 for a five-year multi-dimensional project focused on East-West issues of conservation and historic preservation and an exchange of related faculty lecturers to Columbia and Columbia student interns to Japan. Columbia celebrated its 250th anniversary in 2004, Juilliard School of Music marked its 100th anniversary in 2005 and Columbia’s eminent Department of Music was about to celebrate its 110th anniversary in 2006 – a time of re-evaluation of direction in Japanese Studies. An Institute survey of American academy revealed that the only discipline of Japanese Studies that has no degree program or center in the U.S. was the huge and culturally influential field of Japanese heritage music. Concerned with the neglect of Japanese instrumental heritage music in both academia as well as in music training programs in and outside Japan, Professor Ruch turned to the Japanese Agency for Cultural Affairs and in collaboration with the Department of Music launched a program in 2006-2007 at Columbia to teach Japanese Classical Gagaku Court Music and form a Gagaku Instrumental Ensemble within the Music Performance Program and the Columbia and Juilliard joint program. In 2007 the Mentor/Protégé Program was created for intensive training in Tokyo for the most talented musicians emerging from the Gagaku training program, and in 2011 Edo-period shakuhachi and koto ensembles were added to the performance program. March 29, 2015 will mark the 10th anniversary of this Japanese music initiative, which includes course credit, instrumental training, workshops for composers, the summer six-week Mentor/Protégé Program, annual NY master classes, and Miller Theatre concerts. Recent expanded collaboration with Columbia’s Computer Music Center and the School of the Arts Sound Arts Program has opened new doors for young Japanese and American musicians and composers. 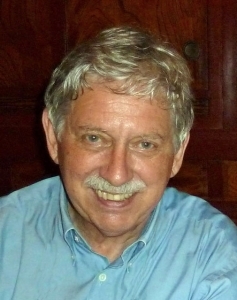 In 2013 Prof. Ruch organized the first New York Summit on preserving the past, enriching the present, and engaging the future of Japanese Heritage Music at which time the Institute for Medieval Japanese Studies – no longer and not for a long time focused in the medieval age of Ashikaga Yoshimitsu, whose kaō is the symbol of the institute – changed its working name (by request of collaborating scholars) to the Institute for Japanese Cultural Heritage Initiatives. The subsequent Tokyo Summit of Japanese Heritage Music in June 2014 enlarged by four strategy teams, during 2014, continues their work in 2015.